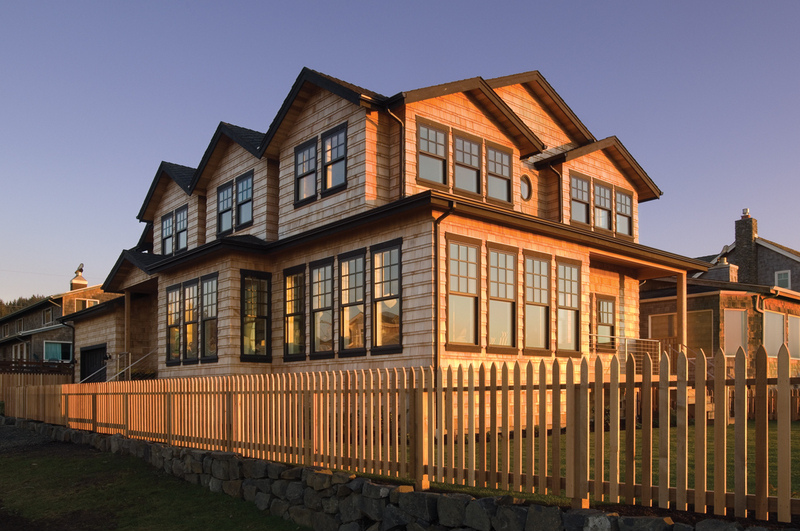 After tearing down the previous house, the owners embarked on a new construction project to design their new Cape Cod home around its windows. Being situated close to the beach, the owners wanted to take advantage of the fresh air and panoramic views. Living on the coast means your home is subject to sun, salt, wind and rain. Fiberglass frames are an excellent option for this ever-changing conditions, as they are very durable and have a tensile strength similar to steel. 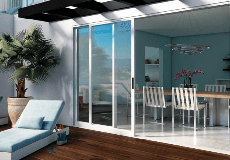 Also, because they are made from glass fibers, the frames expand and contract at approximately the same rate as the insulated glass they hold. 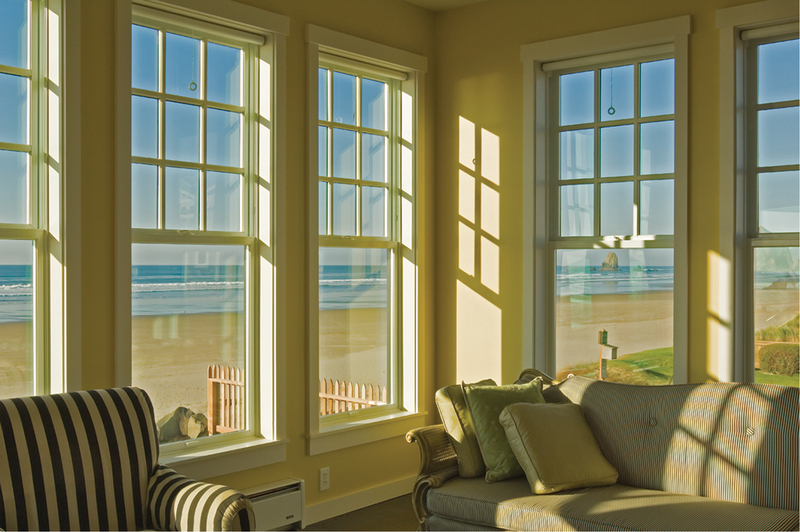 With these benefits in mind, the homeowner decided on Milgard® Ultra™ Series windows. Ultra Series also has a contemporary style that is very low maintenance. With several premium exterior color options, the homeowner chose Bark, to match the existing exterior view of the home. For the inside, she chose white for the frame color, which helped their home stay light and bright. 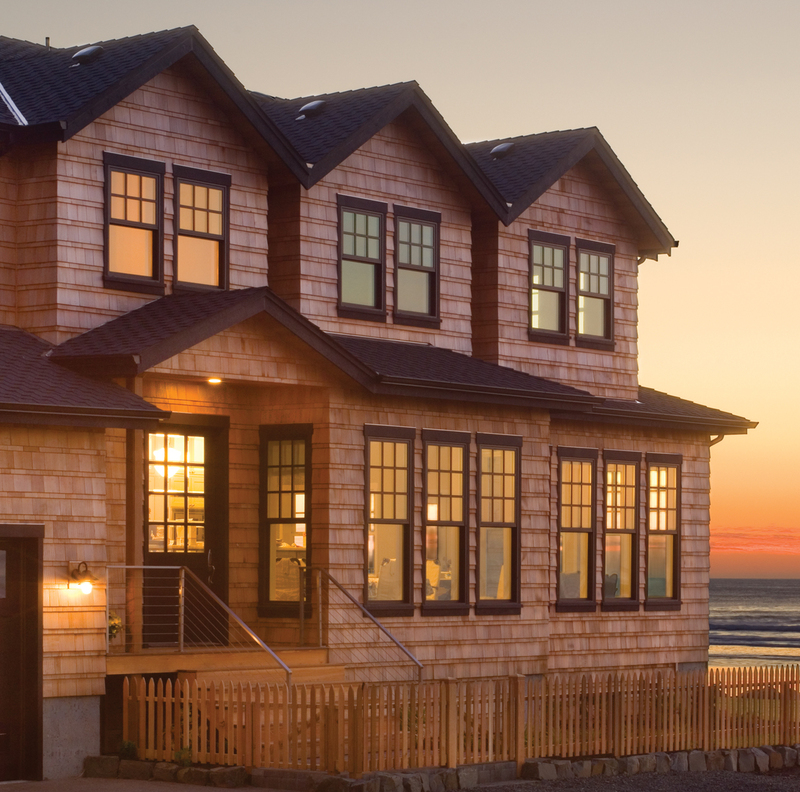 Over 40 Milgard Ultra Fiberglass Series windows were installed, providing ventilation and amazing views while upholding in strength and stability. The house now has tons of natural lighting throughout the home and incredible beachfront views.